That confirms the statement of a free upgrade, although it’s time limited (I believe 1 year). Today I read that Win 10 would be delayed and will be released for public end of August. Let’s see…. 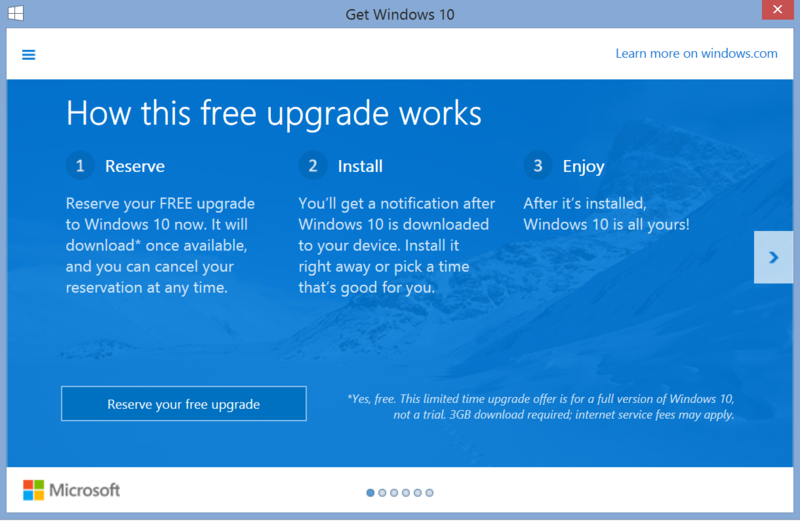 Update 8.6.15: Windows 10 will be available end of July…. This entry was posted in Windows 10 by Michael Wenger. Bookmark the permalink.